Can you give us a little bit about your background? I will answer that briefly since I don’t like to talk much about myself. I was born in 1966, I lived and studied in the city of Misrata, then I went to college in Benghazi to study Archaeology and then I travelled to Italy to continue my studies in Rome in the University of La Sapienza and specialized in classic Archaeology. After that I started working within the department of Archaeology in the university. My relation to the culture is not an educational one, it can be best described as innovative one. I had connections with writings along with poems, and then I showed interest in matters related to public interest. Before the revolution, I used to work on national and human rights issues along with political transformation. I ended up in jail just like many others at that time. 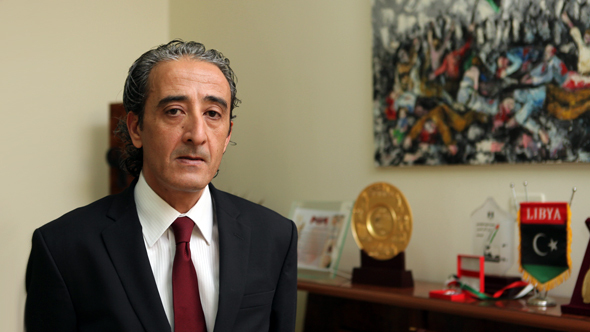 After the revolution, I was assigned to the executive office of cultural department in Benghazi. During this caretaker government, I was chosen to be a minister of culture and civil society. Many people don’t know Libya or the Libyan culture, what is in your view of the Libyan culture? How would you define it? According to the theory of the movement of the Mediterranean sea, people says that Libya was the land of origins for all the Mediterranean nations including the Pharaohs. Since I am an archaeologist, I know a lot about this topic as I am an expert on the history of Libya. Just like in Europe where you find specialists who know a lot about the history there. When it comes to the history of Libya, we should know that this country enjoys the biggest museum for arts in the world that goes back to 10,000 years B.C. especially when we talk about the stone drawings found in the caves in the south of the desert in Libya, which are considered the older stone drawings and they date far more into the history than the ones found Altamira cave in Spain. According to the theory of the movement of the Mediterranean sea, people says that Libya was the land of origins for all the Mediterranean nations including the Pharaohs. One of the facts related to the pre-historic science states that Egypt didn’t have any population back in the history while Libya did, because Egypt consisted of mud and fluvial since the Nile wasn’t there yet. The most important specialists in the science of history and archaeology say that the beginning of the Egyptian civilization is credited to Libya, and that includes the art of mummification, since the oldest mummy in the world had been found in Libya, and it is claimed to be much older than the oldest Egyptian mummy found. Even when we talk about the Egyptian pyramids, it is known that older examples of such pyramids were found in Libya. The Libyan kings also reached and ruled Egypt. Even Khufu was married to a Libyan. It is also claimed that Sheshonk, the Libyan king, was a brother in law to Prophet Sulayman (Solomon), may the Peace of Allah be upon Him. Libya was also mentioned in Torah and in the ancient Greek epic poems like the Iliad, the Odyssey. It was spoke about by historians like Homer and Herod. Even Plato visited this country and studied the philosophy of pleasure in Cyrene, since Libya had a big school of philosophy back then. The first Librarian in history was the poet Callimachus from Cyrene in Libya, and he was responsible for the Library of Alexandria. The second Librarian who followed Callimachus was Libyan too. Even the first man who measured the diameter of earth was a Libyan Greek. The movement of reform and modernization in Christianity in north of Africa was led by a Libyan named Arius. The first Bible was written in Libya's mountain by Saint Mark who was born and lived in Libya. Then after he wrote it in Cyrene, he took the Bible to Alexandria which had held back then the same status which the city of Beirut holds now when it comes to reading. During the Ottoman Empire times, Libya didn’t witness at first great architectural and scientific progress like the rest of lands of the Empire, but still we found many prints left by great Arab Libyan men. 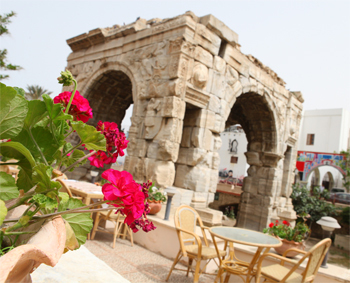 During the Italian time of occupation which was a time of war, we could still find great Libyan names who came forth with great writings of history and poetry. 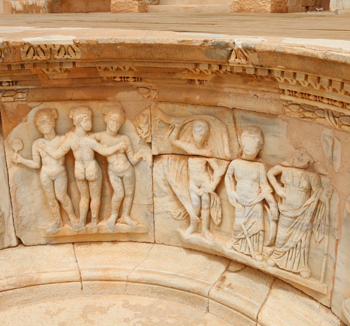 The Kingdom of Libya during the modern age witnessed a big cultural boom. Yet all of that collapsed after Libya was seized in the reign of darkness by al-Gaddafi, the fallen tyrant. The culture back then was crushed, but Libyan intellectuals were surviving even during that time. 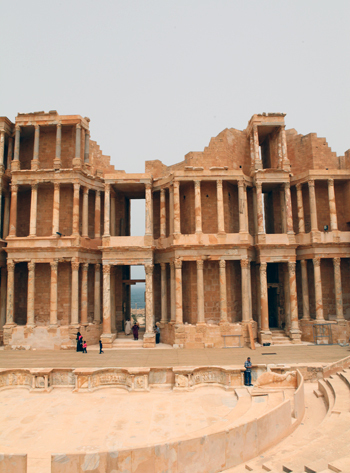 Libya is known for many famous writers and poets, some of them known internationally. We have a strong cultural presence among the Arab nations even though that presence was on individual basis and even though we couldn’t have good relations with other governments because of the previous regime who used to tie politics with culture and mixing them both for its own needs. Al-Gaddafi used the culture and controlled the intellectuals, yet despite that few free ones remained and kept taking care of Libyan culture. So, again we find that Libya has a great history, and the proof to that is the depth of everything related to this topic found in Libya. 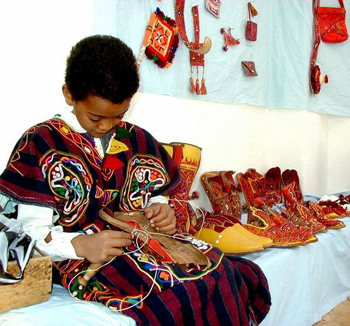 The Libyan culture has another feature in which we can describe it as a mosaic of varieties, and that adds more value to the Libyan culture, as we have different cultural environments when it comes to folk arts, architecture, poetry, or music. So we can say that Libya is a continent, and just like Herodotus said that everything other than Egypt is Africa, and that was called Libya. And now, during this new democracy, the culture will have better place and chances in order to let the Libyans say and share what they want as humans. So they will have freedom to listen, say and paint their lives with what they want and write down beautiful words they like. So this is another battle for the culture in Libya which I think should have a supportive role in this community which endured a lot of oppression on the hands of the previous regime. Libya is going to face new challenges in the 21 century, since first of all Libya's culture is very diverse, and it's been traditionally divided between 3 main regions. Now, that the revaluation has happened and historical divisions are showing up, isn’t the cultural openness going to threaten the progress in the future? I think the culture in Libya is not a dividing factor, as it unites Libyans and not the other way around. So we can’t say that the former administrative 3 regions system will affect the political future of the country. We celebrated few days back the date on which the late king Idress AlSenussi cancelled the federation, knowing that he was the one who declared it and he is the one who cancelled it. So, whoever is following the news of Libya now will think that the federation is a political based system, when the fact is that the federation in Libya was a temporary administrative system, which was cancelled by the same king and men who had established it in the first place. It was cancelled in a calm way without having any kind of debate about it. But now, we find certain groups who use it as a part of the politics game, so the reality is that Libya is bound and tied by many things that exceed the small things certain politicians use in attempt to divide the country. 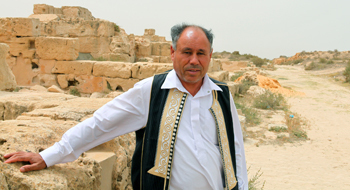 The culture in Libya got merged and mixed, and even the people from different background were mixed together due their change of locations - what we call "cultural capitals" to be known in our country. So these "cultural capitals" hold many groups from different regions. For example, who in Libya doesn’t know that the city of Benghazi is the Libyan cultural capital of arts, theatre and press? This is a known fact. Yet on the other hand, I tried to explore and find the answer for how did Benghazi became the Libyan cultural capital? Because this city attracted all the intellectuals, artists, actors and poets of Libya, for that reason you will find many who live in Benghazi yet their roots belong to other places, while keeping in mind that what brought a writer for example to that city isn’t trading or politics; he went there to reach the capital of writing to become a journalist. It is also known that the radio and television broadcast in Libya started in Benghazi, so someone's love for press encouraged him to go to Benghazi, the same goes for a person who likes theatre. So, until today we think that the culture binds us and won’t act as a dividing factor, and it also overcomes any signs of weakness we might witness in the scene of politics. That is why we hope and think that the culture will be the influencing factor over the public opinion, so they don’t stay on the tracks drawn to them by others in order to serve the goals and whims of others. We can also say that some of these people don’t know what they are doing. 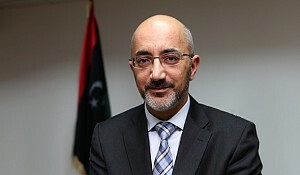 Also I want to say that now after the revolution the Libyan intellectuals will have stronger initiatives during this critical phase, in order to restore stability first and foremost after the hardship we faced during the revolution since all the initiatives during that time were focused toward the military efforts, but now we see that the culture brings Libyans together and doesn’t divide them. A question about the freedom expression, we came from a society where freedom of expression wasn’t allowed, now some people would say there is too much freedom of expression as everybody is trying to express themselves, what is called the "Arabic spring" brought with it regime change like in Egypt, and people are starting to regularly express themselves, so what is in your opinion the policy toward the freedom of expression in the media, what should it be? 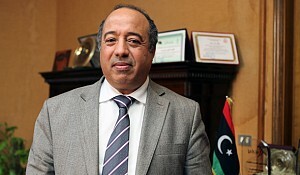 Let us talk with clarity and honesty, the freedom of expression, the freedom of press and the freedom of thinking are concepts that the Libyans paid for in blood in order to get. But also, let me remind you that we are making our way toward the state, and we know that in other countries even in the American or European countries, there are laws that might hinder these concepts of freedom to certain extents in certain matters. But until now in Libya, no man can oppress another, also the government isn’t planning to hinder the freedom of expression, or set limitations or silence anyone. Also, there is no such law that would validate such acts. Like for example, some days ago a journalist was arrested yet after a short while he was released. 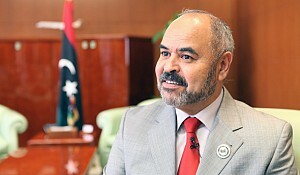 What you need to know is that you cannot get a clear and complete answer about this matter from any minister or even a regular citizen, so I invite you to be here after the poll over the new constitution has been made, because that constitution will set the rules for the freedoms after the Libyan people have spoken. But if you ask me about my wishes, my hopes, my expectations – these go along with what most of the Libyans hope for; we hope to have freedoms of expression, press and journalism as these freedoms are our gains after the revolution. We don’t want to let go of that because they serve as a factor of assurance and a regulator at the same time. These rights and freedoms assure the rights and values of a human, and they also regulate the shape of state that we are working to have since it is also called the fourth estate or the legitimate monitoring by the people over the activities of the state through press and media. To conclude the interview, I would like to ask you about the ministry itself, what are the main priorities for the reform that you would like to achieve? What the projects you are working on at the moment? 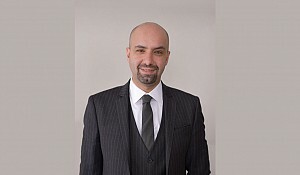 This is the second change in the ministry of culture after the revolution, the previous ministry worked in exceptional situation as it was during the time of a caretaker government. Now this ministry has the support of the civil community and works as a part of another caretaker government. The time table we should work by is a tight one since 5 months already passed from the 1.5 years designated for this government. So, all the ministries made short term plans according to this short time table. We cannot promise anything that would exceed this time table because we would be out of the circle of power at that time, and thus we will not be responsible for anything that would not be achieved at that time. 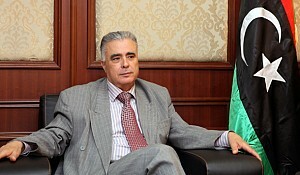 And as you know, the Libyan people now request to see tangible efforts and results. Also, I need to remind you that we have a destroyed infrastructure. Also we have another composite problem when it comes to hardware and software systems in all of the ministries at all levels including this one. The cultural centres, public libraries and theatres don’t even exist, because the previous regime didn’t pay any attention to this because it had no willingness for such matters. We started working on reorganizing the structure, rescheduling what we already have and reset the priorities ever since we started in our positions. All of this was presented as a plan to the government in order to be supported and now we have our budget for that. The plan talks about activating the existing infrastructure through maintenance, and then equips it with what is needed as soon as possible, in order to establish the cultural grounds. We have our share of intellectuals just like Alaska or America or Canada or China or even Zaire. A human is an intellectual being; this is not the problem, since the culture is a personal effort that targets others. But the problem we face is related to the tools and structures. We have great play-writers but they don’t have proper theatres to express themselves. We also have great poets but they don’t have places to tell their poems and communicate with the people. We have famous international artists in Libya but they don’t have galleries or workshops to present their works. So now we are urgently trying to provide theatres through maintenance and proper equipping; we may also build art galleries. We are showing great attention to the youth, women and children because they are the factors of change, and because they were neglected during the previous regime. The people of change are the children and the youth, whom we have plenty of. As for the women who were excluded from these fields maybe the first step toward having another generation in the coming 5 or 10 years who will have a print in the cultural Libyan scene. We have interest in supporting the talents, and to publish writings and books by facilitating the process of printing financially, this is why the ministry took the responsibility of printing many books and papers written by Libyans and it will continue to do so. 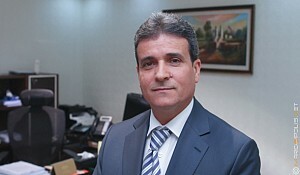 We also have interest in the civil community and its organizations, as we have laws projects to organize the structure of the civil community and its organizations, along with supporting them on all levels and connect them to international organizations since they play a role in helping the government, and they may at a certain point play the role of a positive critic that would benefit the government. So the Libyan society should head in that direction with the government, knowing that these organizations are a new form of culture which hasn’t existed till today. Thank you!